This week Victorians will be able to attend public meetings on wind farms organised by Senators Madigan and Xenophon. Madigan is known to be anti-windfarms, while Xenophon appears to be a recent convert to the anti-windfarm campaign. Later this week is world wind energy day, on the 15th. Let’s remember that despite a vocal and well-connected opposition, wind energy is actually very popular with Australian communities, as the article below from Energy Matters explains. While community opposition to wind farms may appear to have received the lion’s share of media in recent times; evidence is increasing wind power is not a bogeyman in the eyes of the community. A series of surveys and reports have emerged this year showing that generally speaking, communities are behind wind farms and the opposition is mainly a vocal minority. For example, in January, A CSIRO report stated support for the development of wind farms is stronger than may be assumed from media coverage. A survey report released in May found the majority of residents living near Capital Wind Farm in Bungendore, the largest wind farm in New South Wales, believed the power station had either a good or very good impact on the local community. Last week, the Clean Energy Council (CEC) released the results of its own survey, finding again that community support for wind farms is strong. The CEC’s report, titled “Wind Energy Community Research in Victoria, New South Wales and South Australia” states a large majority (77%) of survey respondents said they supported wind farm developments and just 13% said they were opposed. – 75% of respondents said they believed generating electricity through wind farms is a good idea in Australia. – 60% of respondents said they agree or strongly agreed that by placing restrictions on wind farm growth opportunities are being missed to support Australia’s own wind farm manufacturing industry. – 77% of respondents said local communities and land owners should be able to make up their own minds about wind farms with less interference from state politicians. – 80% of those surveyed thought it likely/very likely a wind farm could provide important income for farmers and other land owners. – 58% believed economic benefits of wind farms to local communities far outweigh any negative impacts. – Three quarters of survey respondents believed wind farm construction would create some jobs in the local area. One of the major issues wind farm opponents often seize upon is the so-called “Wind Turbine Syndrome” – a malady that has so far been repeatedly debunked by various health bodies. Wind farms have been in operation around the world for quite some time, yet Australia seems to be a hotspot for concerns over this issue. However, the existence of Wind Turbine Syndrome is also questioned by a large section of the community it seems. 83% of respondents said they felt concerns about the health impacts of wind turbines “will turn out to be nothing to worry about”. While most people may not believe issues such as Wind Turbine Syndrome exist, there is certainly enough concern in the community remaining to warrant further research and education on the topic. The survey regarding the perceptions, values and behaviours of people within local communities who are directly and indirectly affected by wind farms was carried out in two phases, with each phase consisting of 600 respondents. 75 per cent of respondents were from regional communities around wind farms. “Wind Energy Community Research in Victoria, New South Wales and South Australia” can be viewed in full here (PDF). Sounds like it will be fairly moderated. Here’s the DLP’s wind farm policy (from their website). It would be funny were it no so sad…. The Democratic Labor Party (DLP) opposes this highly subsidised method of generating electricity as a substitute or replacement for baseline power such as coal, gas or hydro electric. Since taking up his role as a Senator, John Madigan has questioned the viability and the so-called reports that have been commissioned on the health effects of these expensive, ugly machines. While power companies keen to get their hands on taxpayers funds will make every attempt to talk up the viability of wind farms, the logic simply doesn’t add up. 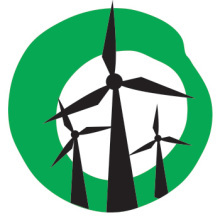 The DLP calls for a moratorium to halt the construction of any further commercial wind farms until a proper assessment of the financial viability and health risks are addressed. Despite the complaints of noise, health and wildlife destruction, wind farms will not deliver the power required to drive us forward either in the short or long term. The high cost of subsidising these ugly blights on our landscape is another major problem. We have already seen the failures around the world where thousands of wind turbines have been abandoned. The failures of wind farms can be seen everywhere and the high cost of trying to subsidise these inefficient and costly monsters has especially been felt in Europe. Germany has moved back to building new coal-fired power stations and Holland recently slashed their renewable subsidies there. European taxpayers have reportedly wasted over 285 Billion Euros on subsidising renewable energy and this alone should be a warning to our government and the taxpayers of Australia. The DLP will push for the retention of our cheap, clean and efficient coal fired power stations and look to a more transitional model of using coal gasification and other clean coal technologies that would be far less costly to the taxpayer, while producing a secure and solid baseline for our grid.